Find Meridian Kessler, IN Homes for sale. View Photos, Maps and MLS Data Now! Washington Park - Your family will be only the 5th to shelter, enjoy and steward this amazing property into the next century of Indianapolis History! ! MLS#21636185. CENTURY 21 Scheetz. Master bedroom w/ en-suite bath and separate laundry room, large walk-in closet and a balcony overlooking the back courtyard. MLS#21635253. RE/MAX Ability Plus. Broadway Terrace - Driveway with New concrete & exposed aggregate steps. Meticulous! MLS#21633330. F.C. Tucker Company. O'Connors Washington Blvd - Please see attachments for extensive renovation list! MLS#21633297. F.C. Tucker Company. 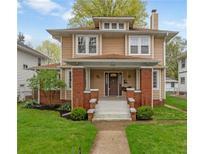 Broadway Terrace - Walking distance to the Monon and several restaurants. MLS#21635322. ALL Premiere Real Estate Group. Broadway Terrace - Partial basement with full bath, HUGE 2.5 extra deep garage, all brick exterior. Stunning find. MLS#21635153. RE/MAX Ability Plus. Northern Heights - Enjoy summers on the swing on the large front porch or have company over for a cookout on the rear deck in the well-manicured backyard! Wonderful location! MLS#21631796. RE/MAX Ability Plus. All stainless steel appliances stay as well as the washer and dryer. AC/furnace new 2015 MLS#21633506. Monon Way Realty, LLC. Hannamans - Re designed kitchen with radiant heat floors, opens to a breakfast room & elegant dining room, exquisite solarium opens to private courtyard, elegant living room, master is a true private get away with his/her dressing rooms, private sitting area for TV/relaxing & a personal study, lovely bath with heated floors, plus personal laundry space, 2nd bedroom with fireplace, bath with claw foot tub & shower, 3rd bedroom with private bath, nanny/teenager quarters upstairs with large bonus room and Seperate bath, private elevator to 2nd and private space with full bath on the 3rd floor, MLS#21633556. F.C. Tucker Company. Light's Bellevue - This home has modern engineered mechanicals with a fully renovated professional kitchen. MLS#21635094. Paradigm Realty Solutions. Northern Heights - This one-of-a-kind home can be yours today but you have to act fast! MLS#21633583. Keller Williams Indy Metro NE. Woodcroft - This home also offers a spacious back yard, 2-car garage, and amazing walkability to restaurants, parks and the library. MLS#21633601. Plat Collective. 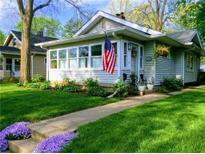 Hannamans - Sweeping drive allows for you to enter on Meridian or 43rd st MLS#21632626. F.C. Tucker Company. Crestline - You don't want to miss out on all this home has to offer. MLS#21632637. Homewise Realty LLC. Old Colony - Finished basement has workout room, theater area, guest bedroom and full bath. MLS#21631417. CENTURY 21 Scheetz. 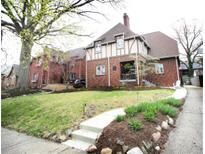 Woodcroft - It is hard to find the perfect SoBro house, so do miss this one! 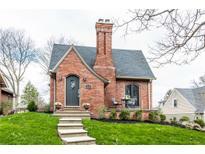 MLS#21632194. Keller Williams Indy Metro NE. Woodcroft - One year HMS Home Warranty included! MLS#21628468. F.C. Tucker Company. Oliver Johnsons Woods - 2 car detached garage is hard to find in this area & the outdoor space is perfect on the serene front porch - or turn the backyard into an intimate entertaining space! MLS#21631697. Keller Williams Indy Metro NE. North View - Blocks From Market District, Moe & Johnny's, Aristocrat, 20 Tap, Mama Corolla's, Delicia, Taste & Many Other Restaurants! Show Today! MLS#21631802. F.C. Tucker Company. Basement offers 5 rooms w/1/2 bath. MLS#21617248. F.C. Tucker Company. Ambleside - Close to private & public schools. Must See! MLS#21629150. ERA Real Estate Links. 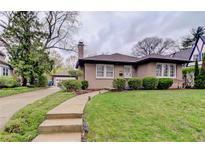 Light's Bellevue - Short walk or ride to Monon Trail, Broad Ripple Ave, Butler & several parks! MLS#21630485. Berkshire Hathaway Home. Make this house your forever home... MLS#21630220. United Real Estate Indpls. Wherever you find yourself in this home, you will definitely be comfortable with dual heating and cooling systems with dual Nest thermostats. MLS#21630270. F.C. Tucker Company. 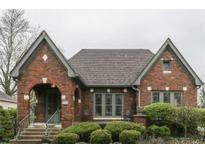 Highridge Place - Easy access to downtown, Butler, Broad Ripple and Mid-town. Welcome home! MLS#21628447. F.C. Tucker Company.